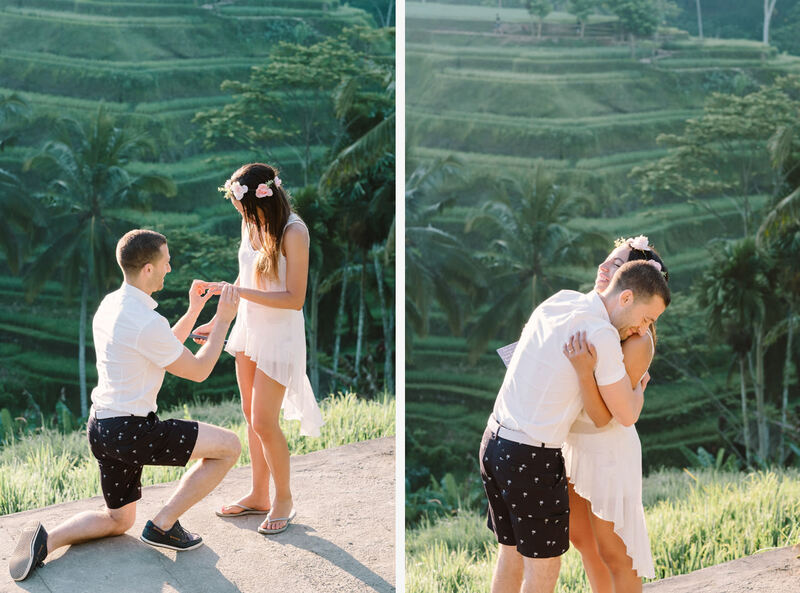 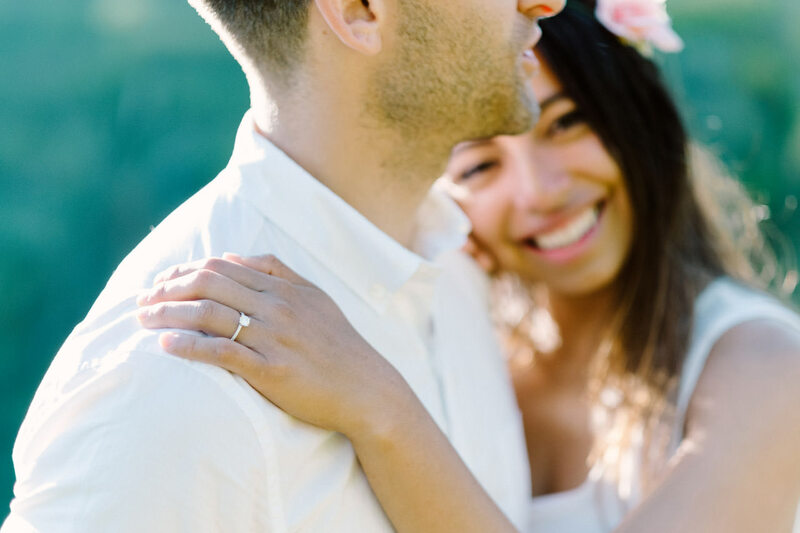 Bob & Vanessa’s Ubud Bali Surprise Proposal Photography. 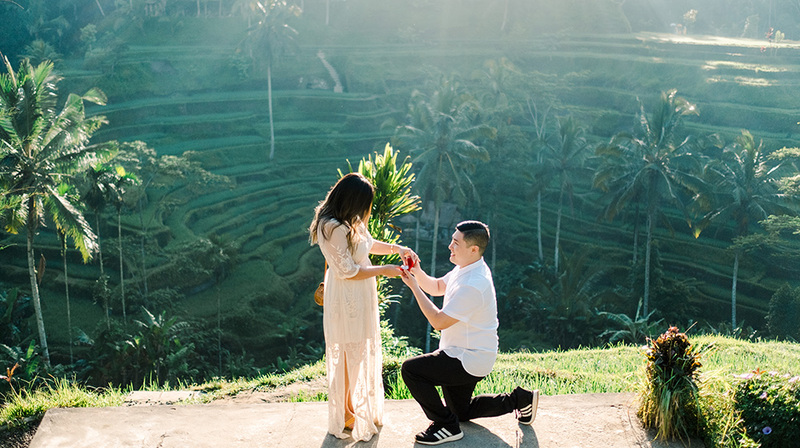 “Before leaving on this surprise proposal trip, Bobby had just one simple request, to pack a white dress. 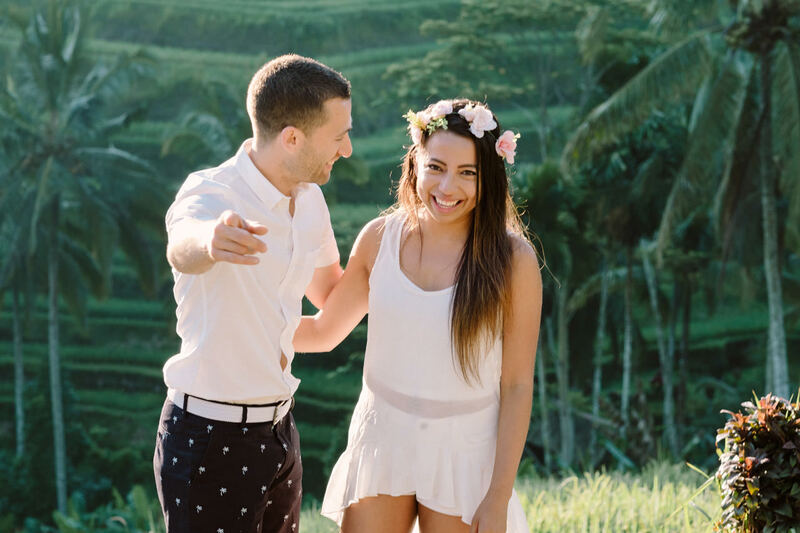 Instead, I packed the big pink prom dress you might’ve seen earlier, and so I ran out of room in my backpack. 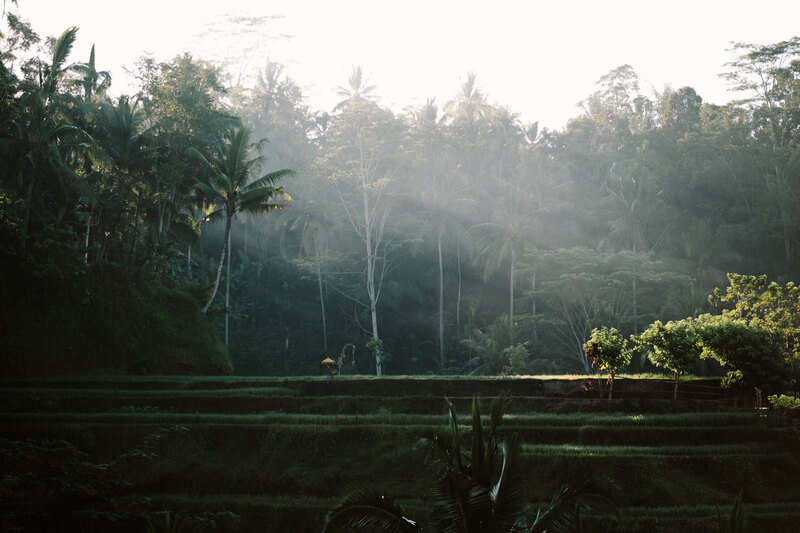 (Yes I only took one backpack for 10 days). 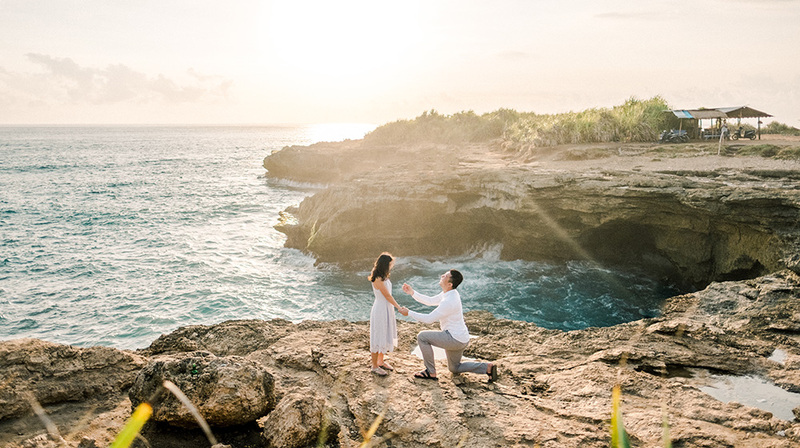 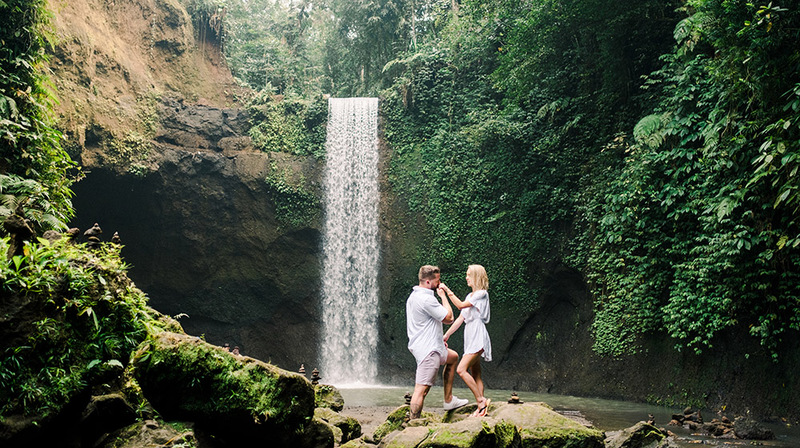 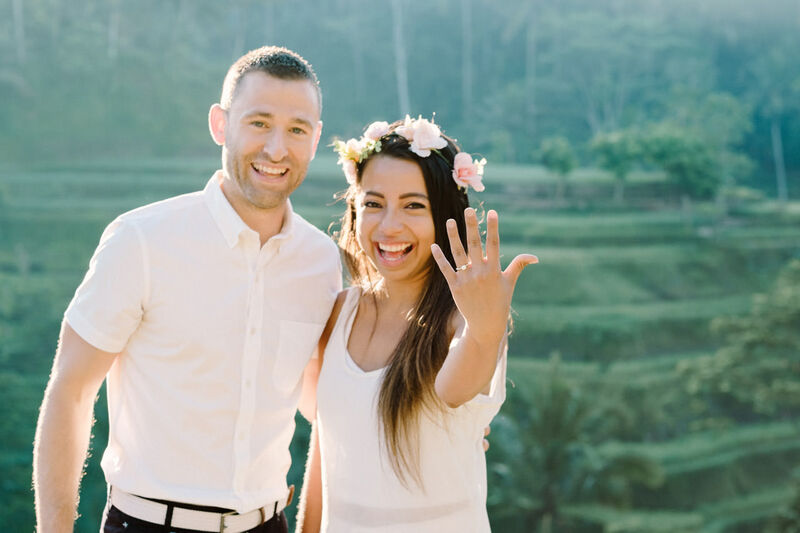 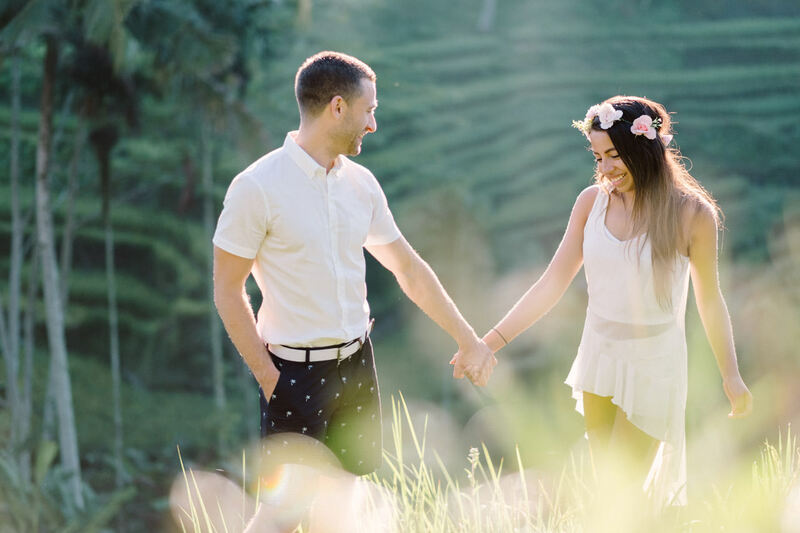 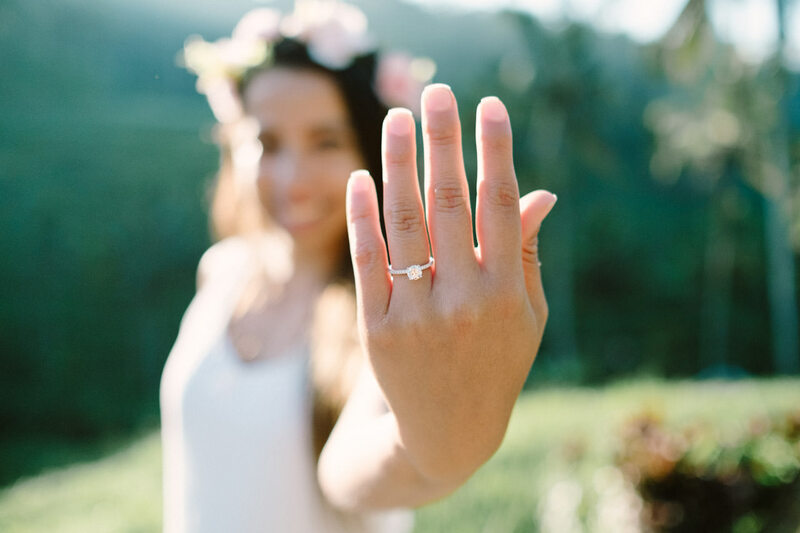 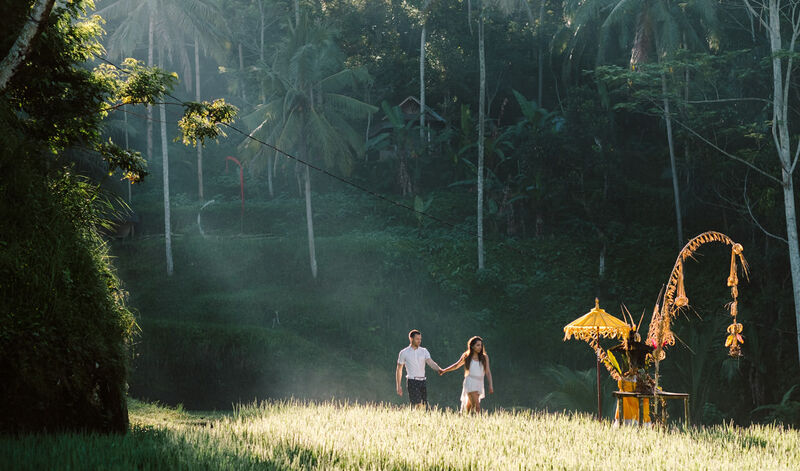 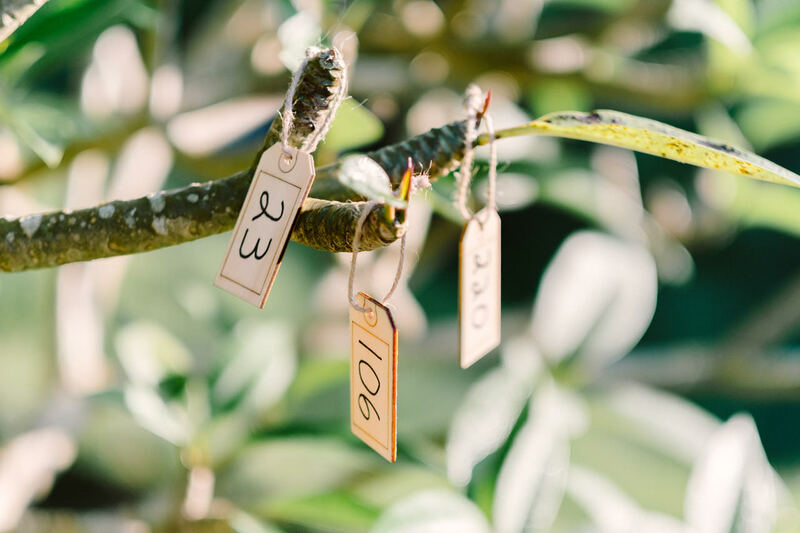 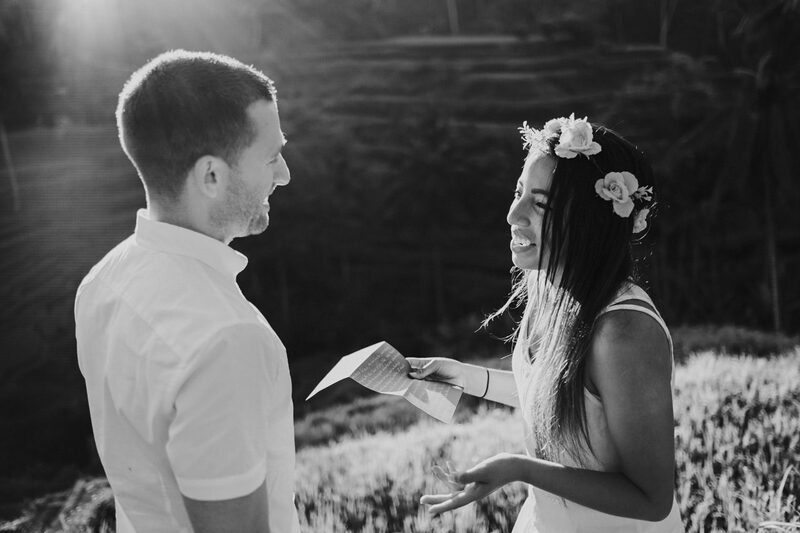 “Bobby got creative on this Ubud Bali Surprise Proposal Photography and planned an Asia scavenger hunt where I had to find places and clues starting in Japan, then China and ending in Bali. 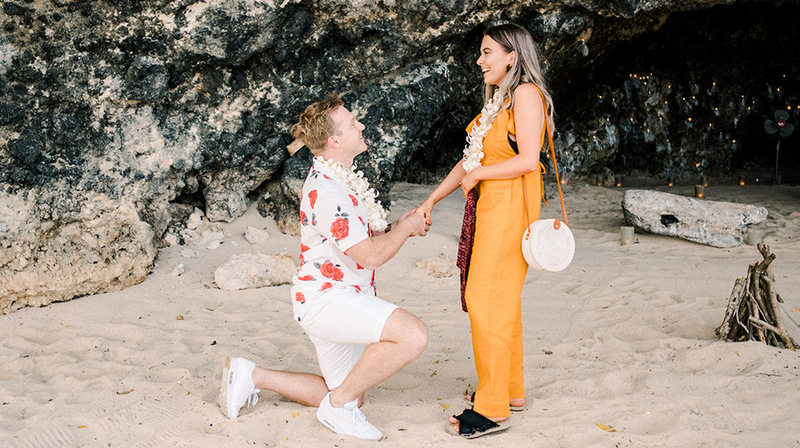 I was secretly hoping I would find a puppy at the end of the hunt however I found a RING instead! 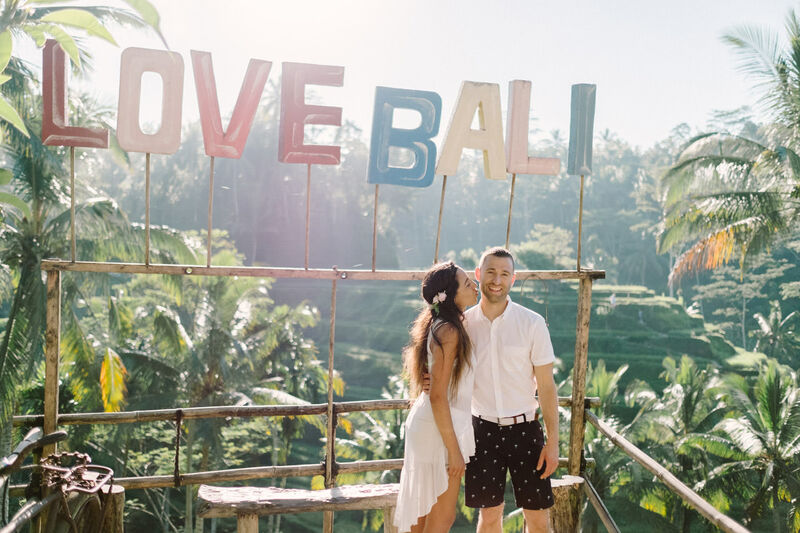 Gusmank, (who pretended to be our tour guide) he totally fool me! 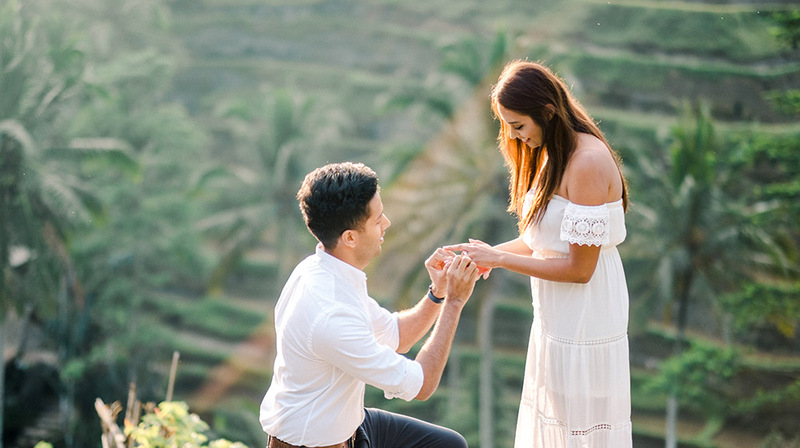 He was incredible!